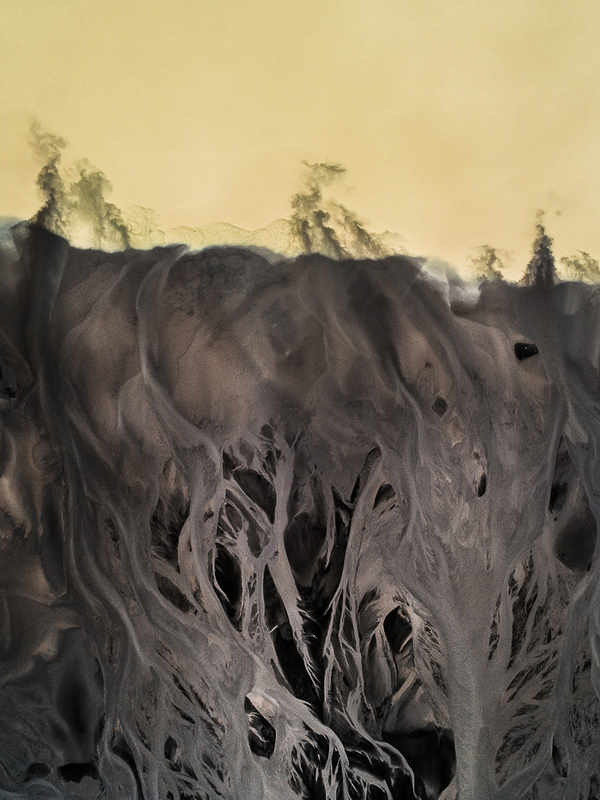 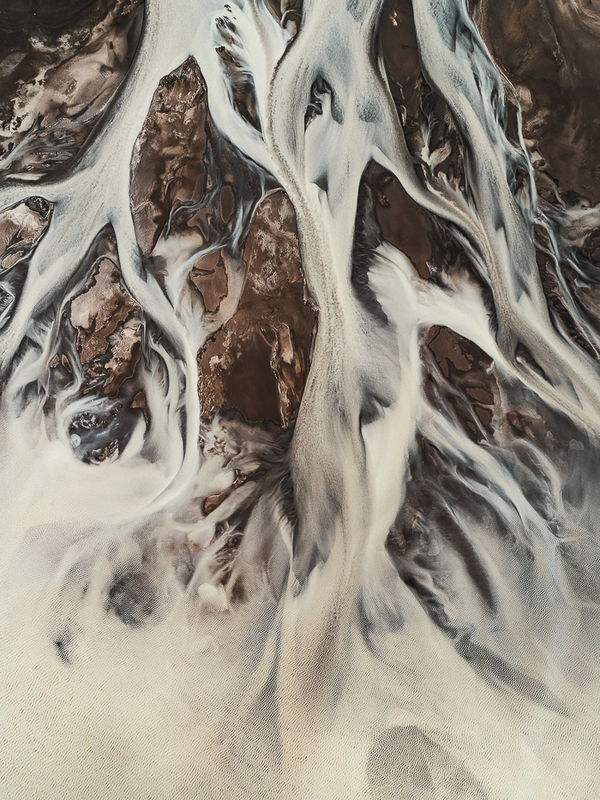 «The River Veins» is the title of Tom Hegen’s new series. 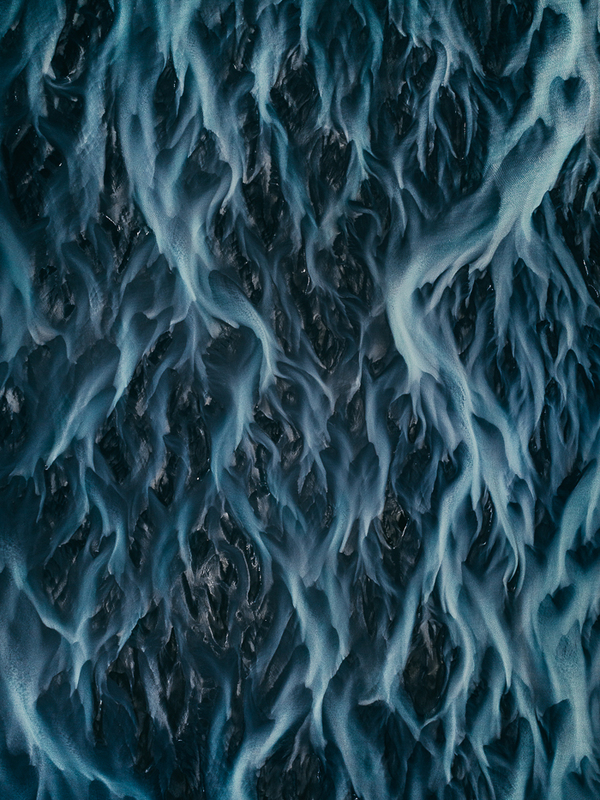 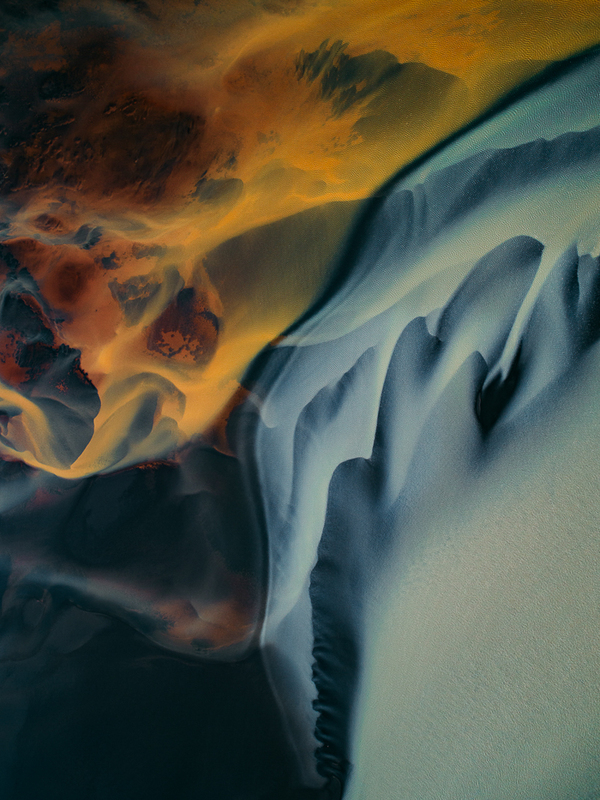 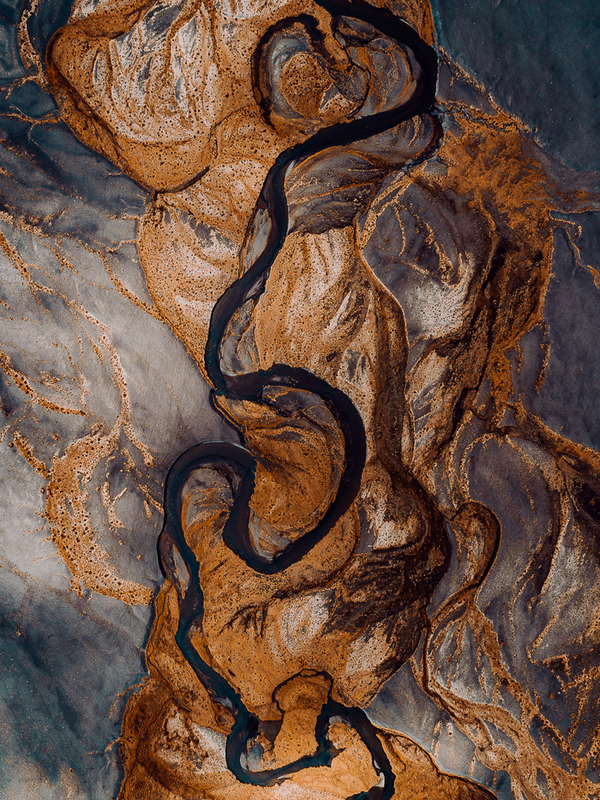 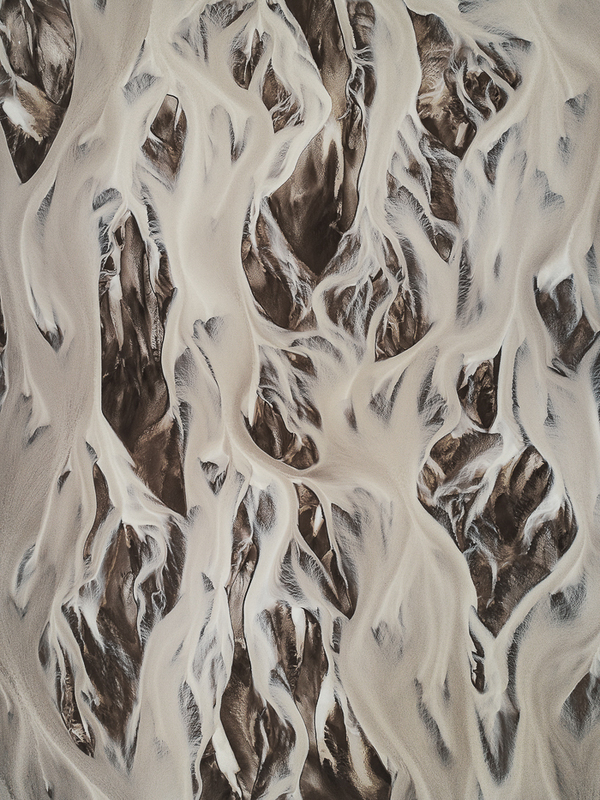 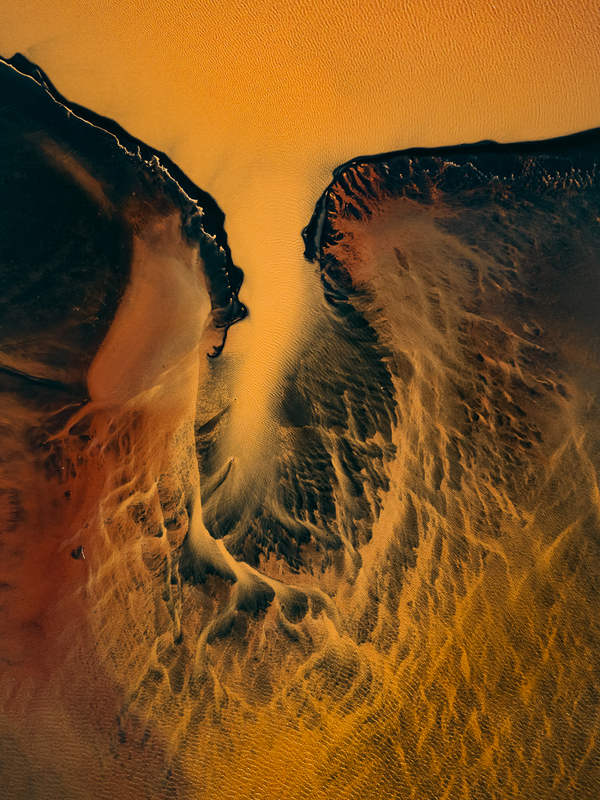 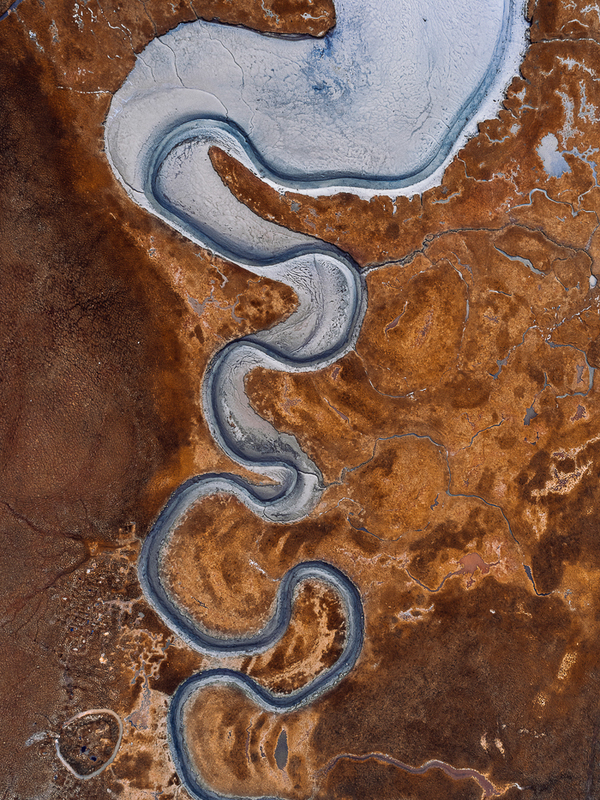 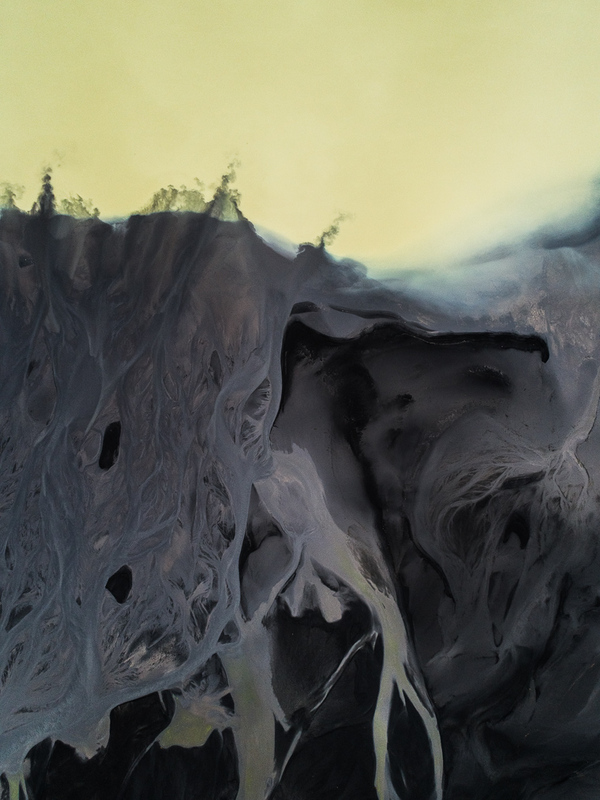 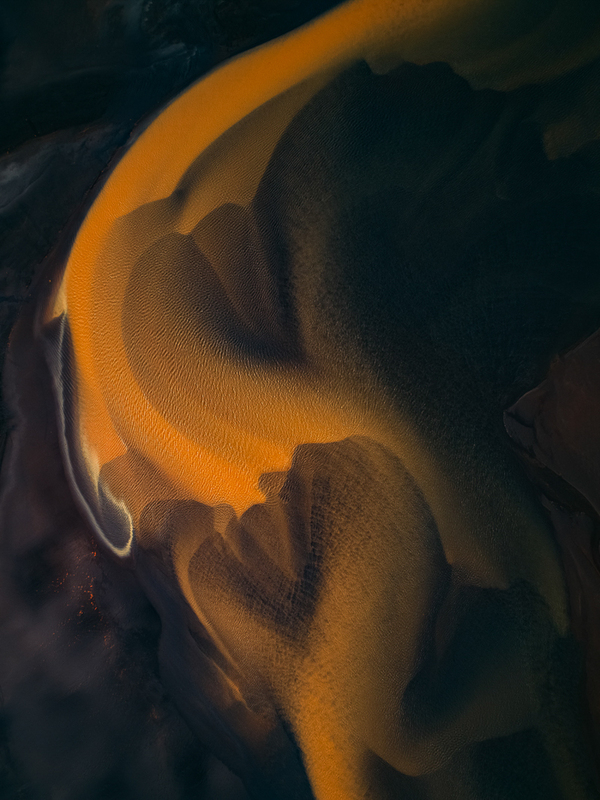 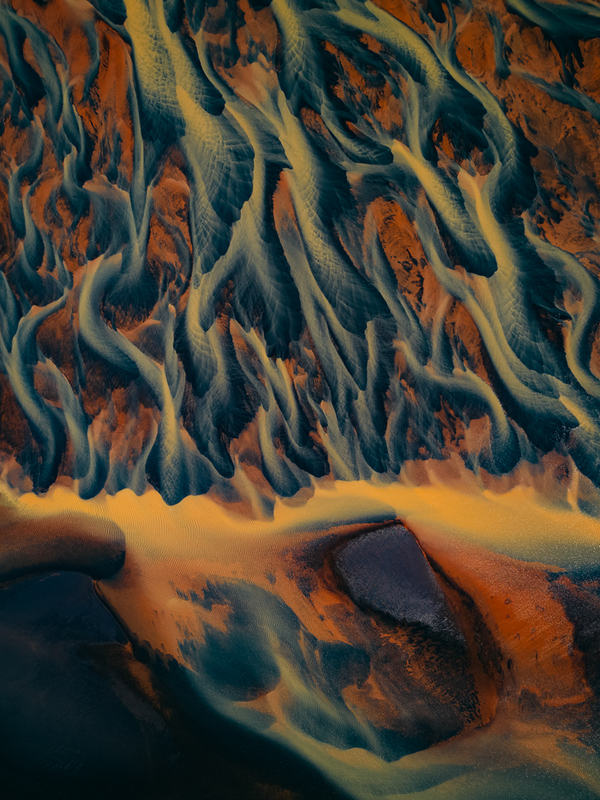 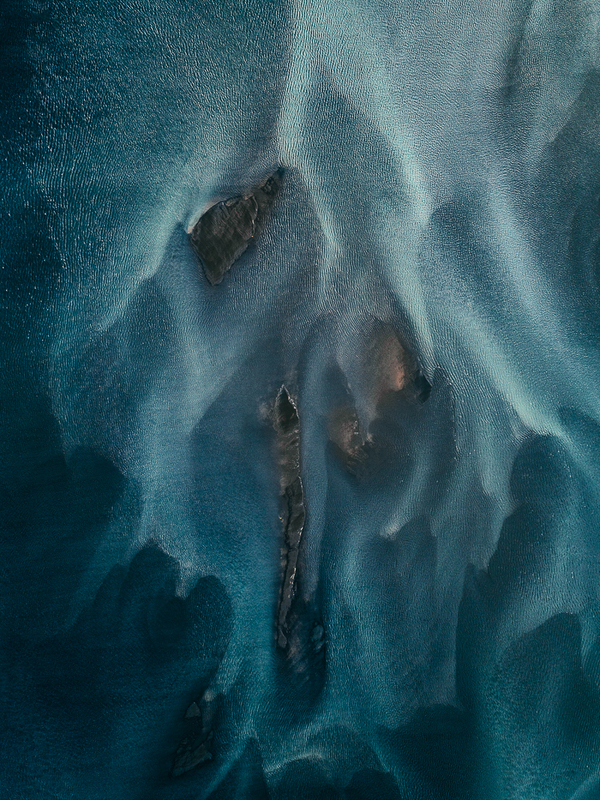 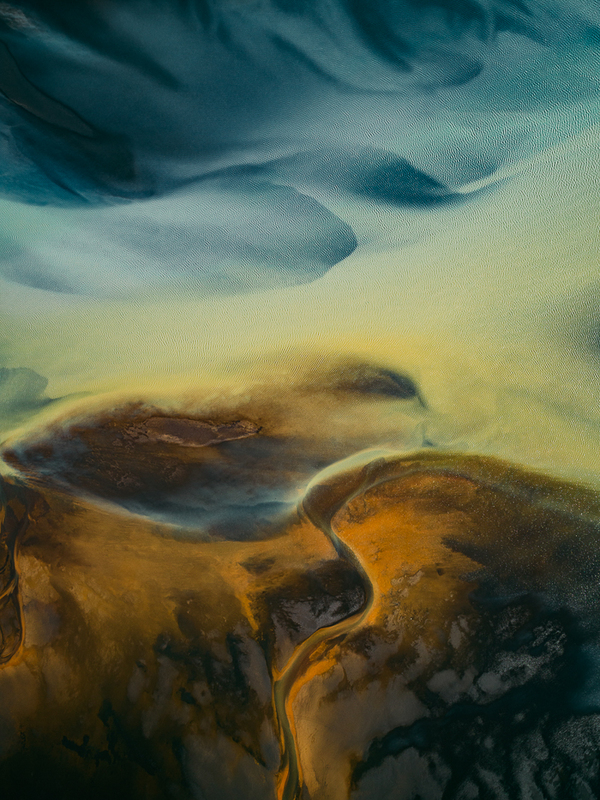 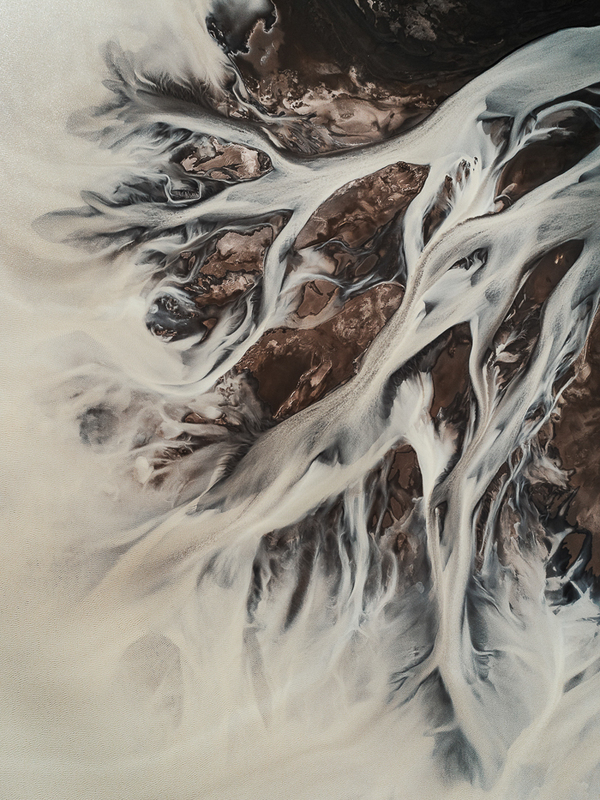 The German photographer specialized in aerial photography has flown over Iceland to produce this astonishing project full of beauty and textures. 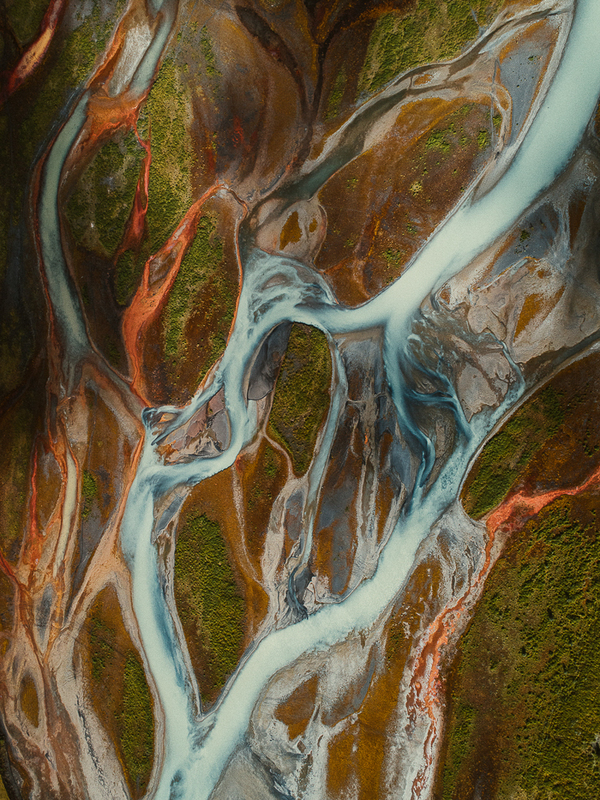 The country of the north seen from above offer us spectacular natural paintings with a thousand different hues. 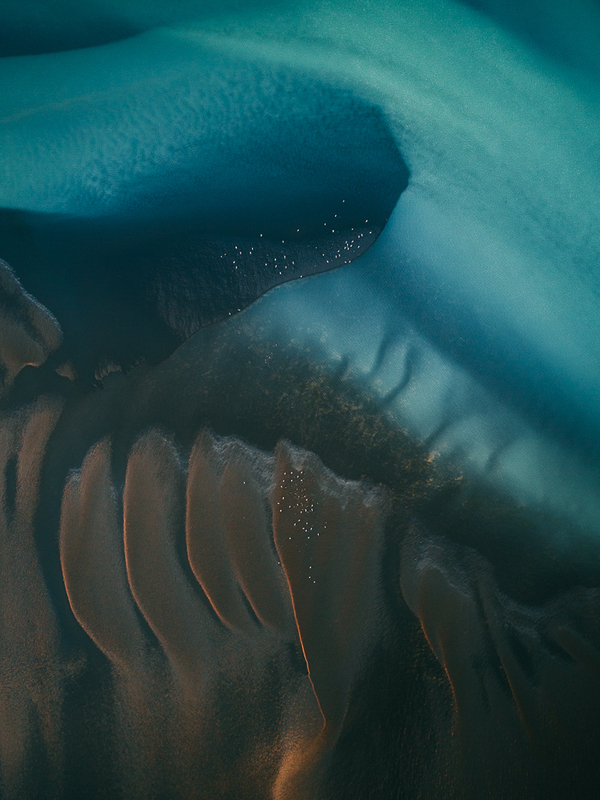 Once again, his shots of unseen parts of the world are incredible. 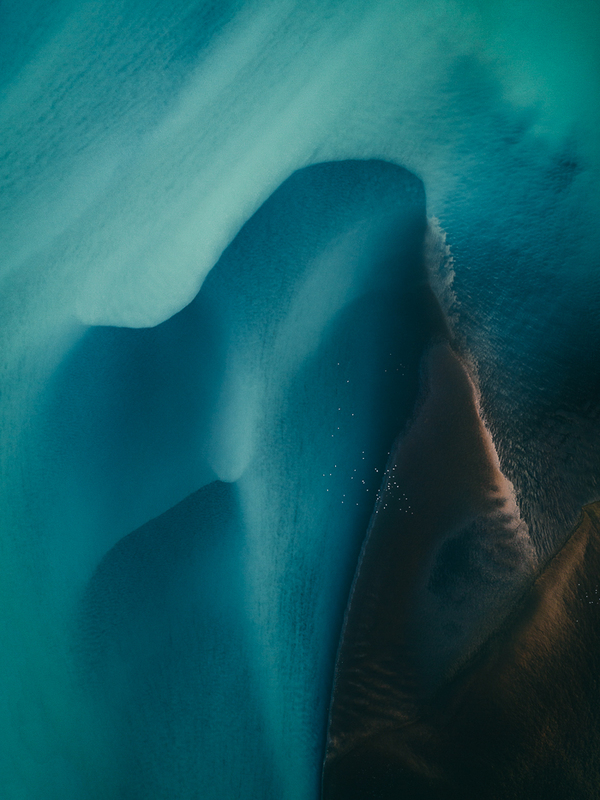 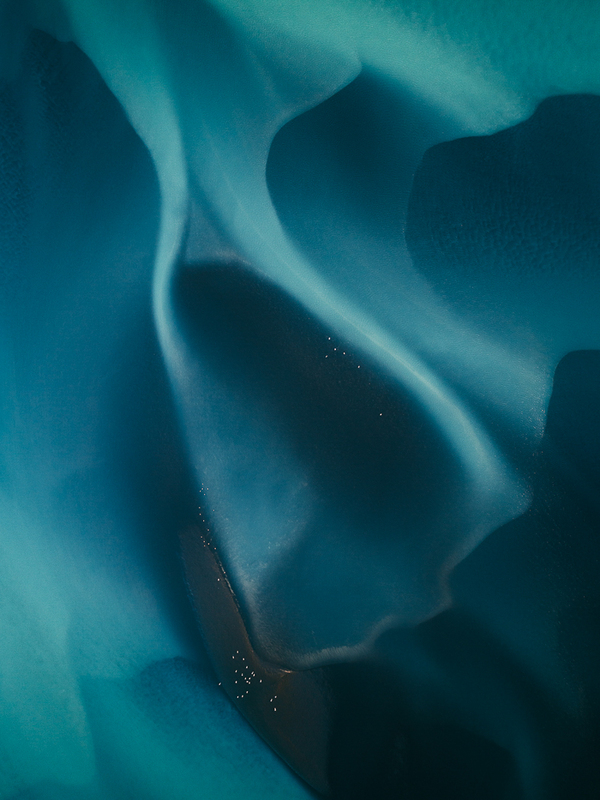 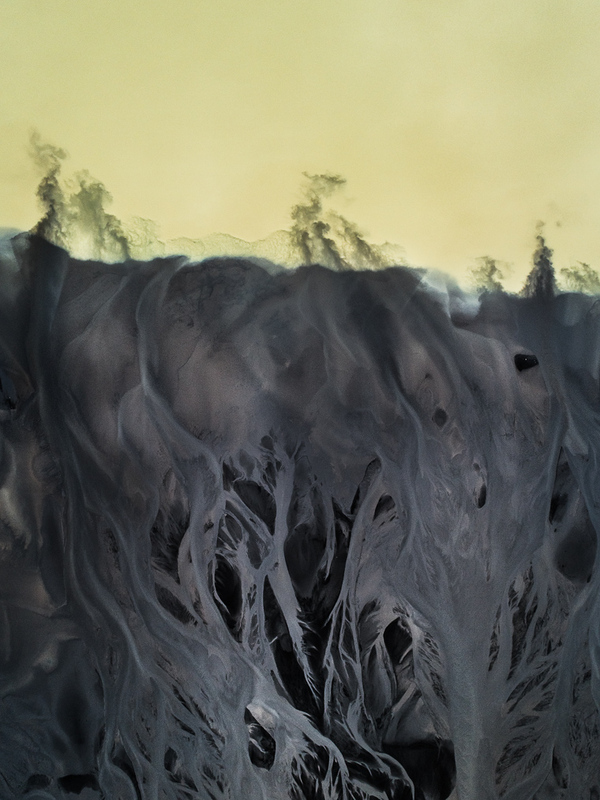 «As the glaciers in Iceland melt, ice blue water veins their way across the black volcanic sand, creating most peculiar patterns in the landscape. 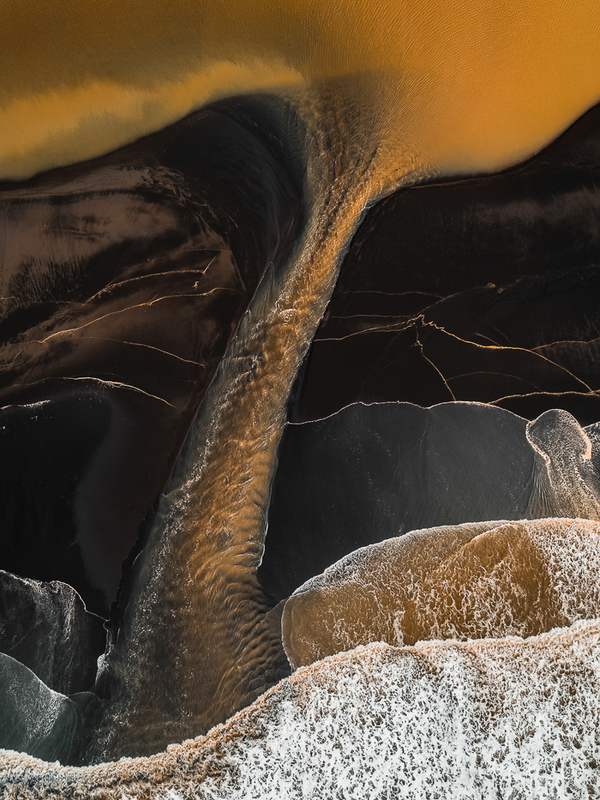 Those scenes have an element of duality – it is hard to tell whether a picture was taken from a macro perspective or from a small airplane around 3000 feet in the air», he explains. 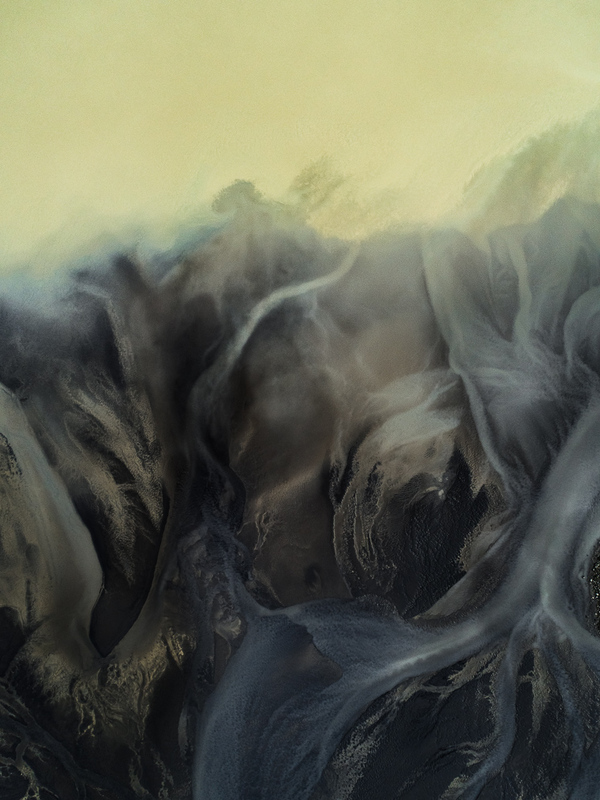 Follow the artist on Instagram for more discoveries.